A lady from the north-east of the UK has become the latest player to scoop a huge prize at an online casino, after winning a massive £1.2m (€1.35m) while playing Major Millions. 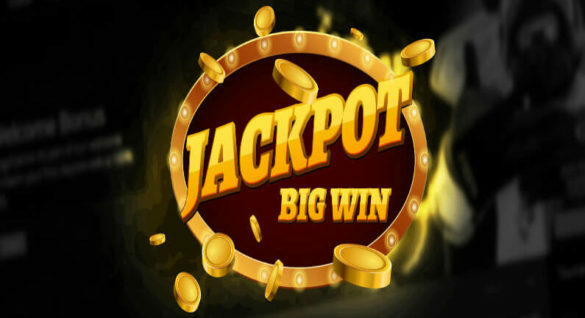 While it certainly isn’t the largest amount ever paid out by this world-famous online slot, it is still certainly significant, and has instantly made this lucky player a millionaire! The player, called Mandy Bowman, was playing at the Glossy Bingo site, and had already managed to win around £400 during her time at the site that day. She then decided to start playing Major Millions – one of the most popular progressive slots ever produced by Microgaming – which turned out to be a fantastic decision. What makes the win even more amazing is that Mandy was actually down to her last £3, after seeing most of her winnings disappear, before she then struck gold by winning the progressive jackpot. But what will Mandy do with her new found money? Well, as a farmer’s wife, she plans on using the money to upgrade the farm, as well as lavish some cash on her big passion – horses. They might even finally take a honeymoon, two years after getting married. Despite the fact that Mandy won the cash while playing at Glossy Bingo, you’ll be able to find this exciting game at many other online casinos. If you want to find the very best place to play, simply take a read through the various reviews here on this site. Major Millions is one of the many progressive slots found at online casinos, and it is also one of the most popular – although not as popular as Mega Moolah, which is also from Microgaming and boasts the largest jackpots around. It is also one of the oldest progressive jackpot slots around, having made its debut in 2008. Despite its age, it is still incredibly popular with players though, and is found at a huge number of different online casinos powered by Microgaming software. Whether you enjoy Major Millions really depends on the type of player you are. It’s certainly true to say that this game doesn’t have the massive amounts of bonuses and features found at some other games, however some players enjoy this, as it allows them to concentrate on simply playing the game. This slot also comes in two different forms – three reel and five reel. The three reel version is essentially a classic slot machine and, once again, this appeals to those looking for a pure slots playing experience. If you’re playing Major Millions, there is only going to be one thing you want to win – the progressive jackpot. You should remember this though; regardless of the version you are playing, you’ll need to play all of the paylines in order to win the top prize. This means that the cost per spin on both versions is £3, which might be too expensive for some online slots players. To win the progressive jackpot on the three reel version, you’ll need to line up wild symbols across the third payline. In the five reel version, you’ll win the progressive jackpot if you manage to get five wild symbols on the 15th payline. Both machines have exactly the same chance of paying out the progressive jackpot though, so which one you choose really comes down to personal preference. Don’t forget that even if you don’t win the progressive jackpot, you could still win some large amounts of money when playing this slot. This is because many of the other combinations of symbols also lead to some big payouts. Because Major Millions is a game from Microgaming, you’ll find it at loads of the best online casinos around. This is because casinos like to feature Microgaming slots, simply because they are so popular with players from throughout the world. You’ll find reviews of a number of these casinos here on this site, and they include Mr Green Casino and PlayGrand Casino. When you head to one of these casinos, you’ll also find a number of other progressive jackpot slots as well, including Major Moolah. If the casino features games from multiple providers, you might also find progressive slots from other producers, such as the Marvel progressive jackpot slots from Playtech. Of course, you will also find loads of other types of games as well, including table games and video poker. Mandy Bowman has shown that it is more than possible to win a huge sum of money when playing Major Millions, so why not try to emulate her by playing today? There are loads of fantastic casinos offering this great Microgaming slot, so take a look through their casino reviews on this site, before signing up with one of them!